Recapitulation of Treatment Response to HBV Infection in FRG Mice | Yecuris FRG: humanized animals and human hepatocytes platform for your next great discovery. Hepatitis B virus only has a limited host tropism. This limits the possibilities to study and develop new curative treatments. By repopulating immune deficient animals with human hepatocytes, it is possible to infect and study HBV in vivo. In this publication, FNRG mice were repopulated with human hepatocytes and infected with HBV, after which they were treated with different antiviral therapies. The paper describes the methodology to study in vivo HBV infection by either qPCR of HBV DNA, RNA, and cccDNA, or by ELISA to quantify HBsAg or HBeAg. There are ~350 million chronic carriers of hepatitis B (HBV). While a prophylactic vaccine and drug regimens to suppress viremia are available, chronic HBV infection is rarely cured. HBV’s limited host tropism leads to a scarcity of susceptible small animal models and is a hurdle to developing curative therapies. 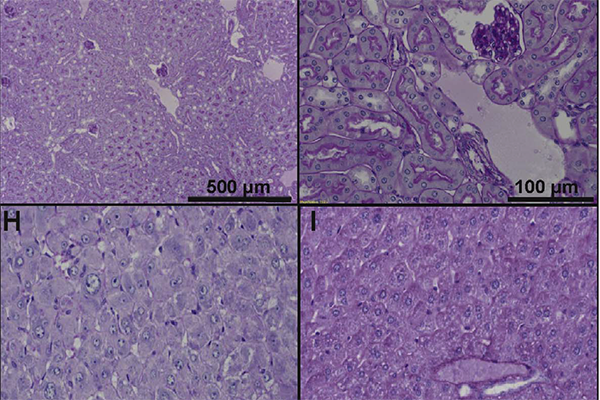 Mice that support engraftment with human hepatoctyes have traditionally been generated through crosses of murine liver injury models to immunodeficient backgrounds. Here, we describe the disruption of fumarylacetoacetate hydrolase directly in the NOD Rag1-/- IL2RγNULL (NRG) background using zinc finger nucleases. The resultant human liver chimeric mice sustain persistent HBV viremia for > 90 days. When treated with standard of care therapy, HBV DNA levels decrease below detection but rebound when drug suppression is released, mimicking treatment response observed in patients. Our study highlights the utility of directed gene targeting approaches in zygotes to create new humanized mouse models for human diseases.